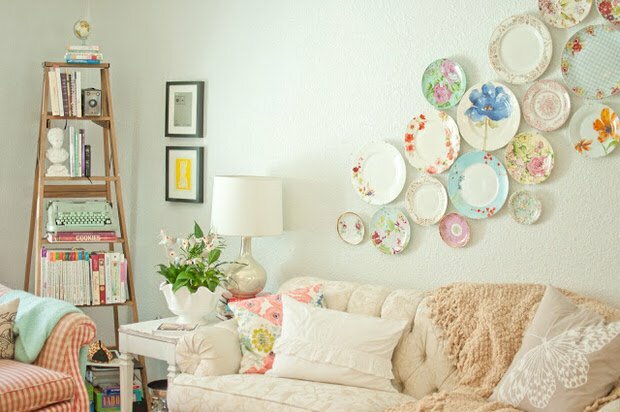 Plates are a big collectible in home decorating, but you don’t have to have a china hutch full of rare antiques to appreciate the beauty of plates in your home.​ Decorating with plates can save you money, add charm and dimension to your rooms, and allow you to display your favorite pieces as well. 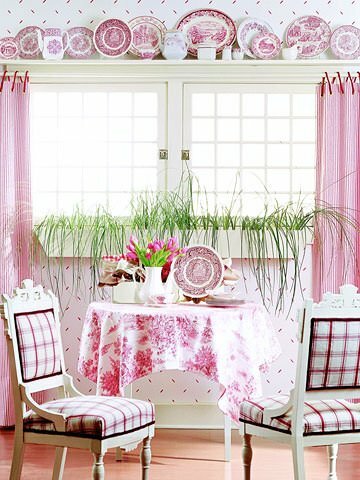 Here are 5 great ways to decorate with plates! * Beautiful plates can be found in your own cupboards, so don’t forget to search out what you already own. You don’t have to have expensive plates to show them off…look in dollar shops, thrift stores, yard sales and discount shops for pretty little plates that catch your eye and reflect your homes color schemes. 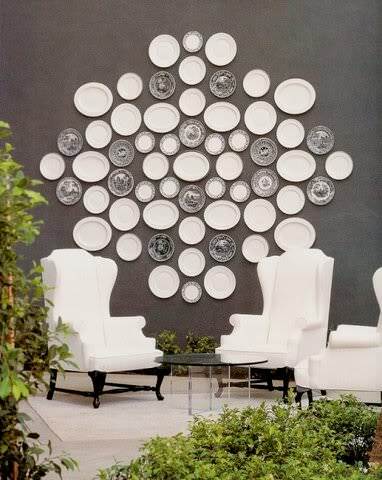 * Try making a large wall arrangement grouping with plates to have big impact. 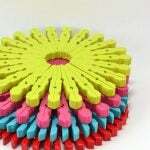 This is especially useful if you collect plates all in one color family. 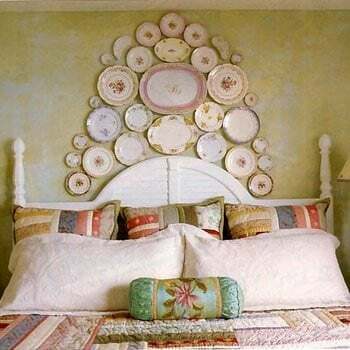 Try arranging the plates on the wall in rounded arches to reflect the round edges of the plates. Add other objects to the grouping for interest, but let the plates take center stage. This is especially useful if you are looking for a way to provide a focal point in a room, but want something more interesting than that painting over the sofa. Easy to use plate hangars can be picked up at any hardware store. 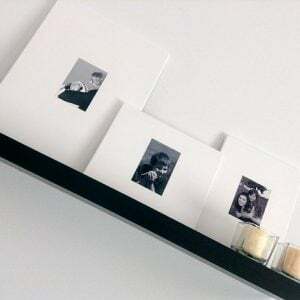 ​* Use plates to enhance the architecture in your rooms. 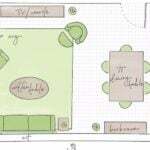 Let them follow archways or create an arch over windows with a row of plates. Hang them over doorways to bring your eye up, or surprise with an unusual placement lower down on the wall. * Plates don’t have to be confined to kitchen decorating. Use them over headboards in the bedroom, in a pretty guest bath, or gallery style along an empty hall. 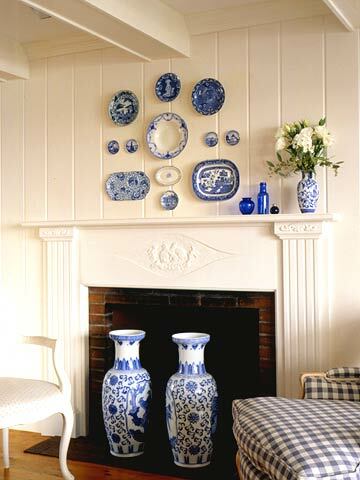 * Don’t forget that you don’t have to hang plates on the wall to appreciate their beauty in home decorating. Use a pretty dessert plate to set a pillar candle on, as a soap dish in the bathroom, or to hold a pretty handful of lavender potpourri. 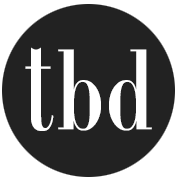 And also know that other dishware form your cupboard can be used in similar ways. 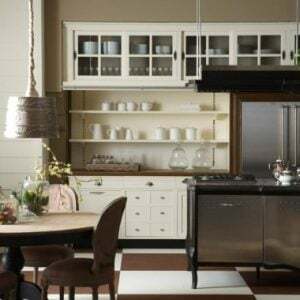 Ceramic pitchers or casseroles, wine glasses, or sugars and creamers can all be displayed and merchandised in your home. Photo by Domestic Fashionista. 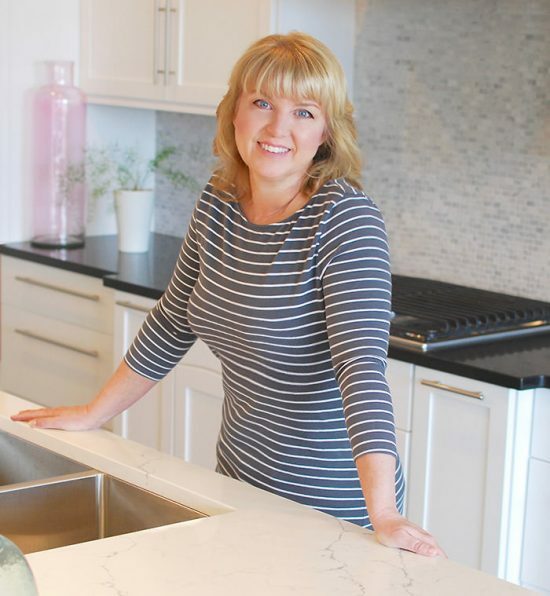 ​Using everyday objects in your home decorating is a great way to save money and appreciate beauty in ordinary things. So pick up a couple of plate hangars, search those cupboards, and add some charm to your home today!